At EverLine we have experienced crews who can install any type of signage on your property. We also offer installation services for a wide variety of bollard covers. At EverLine we provide both sign installation and bollard covers installation services. Having proper signage for your parking lot or property is important in ensuring safety and limiting confusion. We can provide and install any type of sign you may need on your property. 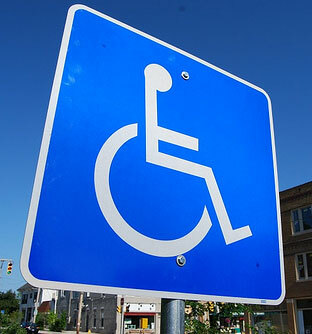 We provide signage for elements such as crosswalks, handicap stalls, no parking stalls and more. Ensure the safety of your tenants, employees or customers with proper sign installation on your property. In addition to our sign installation services we also provide bollard cover installation services as well. Once you have had bollards installed on your property it is important to also have bollard covers installed. At EverLine Coatings and Services we can install reflective covers on your bollards to ensure they stand out on your property. This will help make sure your bollards meet safety standards while still protecting your property. At EverLine we provide a wide variety of colours and bollard cover sizes, so regardless of the type of bollard cover you need we can help. A major contributor to our success and why we a trusted by so many clients is our commitment to the CORE quality system. CORE stands for clear scope, operations reports, reach out, evaluate. This transparency with our clients allows us to ensure we are meeting your expectations throughout every step of our projects. At EverLine Coatings we specially train our sign and bollard installation crews to provide the best possible installation services. We ensure that our installation crews have the proper training to meet both our and your standards before sending them out to any property. We place all of our sign and bollard installation crews through rigorous training programs to make sure they are truly experts at what they do. There are a few steps your business can take prior to the arrival of our sign and bollard installation crew to ensure they can efficiently and effectively perform their installation services. First please make sure to clear the installation area of any debris or obstacles so our crews can work unhindered. Next make sure to post notices to notify tenants, employees or customers of installation services being performed, this will help ensure the safety of our crew. Providing the best possible value to our customers is incredible important to us. This is why we provide all of our pricing on a per job basis. This means that our rates will fluctuate based on volume, difficulty, traffic and materials being used on site. At EverLine it is important to us to learn the details of your project so we can provide a quote that will work within your budget. To receive a free estimate on your upcoming project please contact us.